to speak with a qualified Service Consultant. The Destination M/T is a light truck tire with technology to advance wet handling and braking. With deep skid lugs, 3 body ply construction, over-the-shoulder tread/lug design and our special Rim Gaurd Off-Road Protector Rib, the Destination M/T is as tough and durable as it looks. 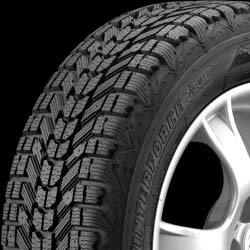 Since it's pinned for studs, the Destination M/T is also ready to deliver extra grip in winter conditions. All these features add up to a light truck tire that has what it takes for off-road, all-terrain and all-season performance. The Firehawk Indy 500® tire pays tribute to the performance of the Firehawk Indy Racing® Slick. Engineered with UNI-T technology—adapted from some of the technology originally developed for professional drivers racing at speeds up to 200 mph. 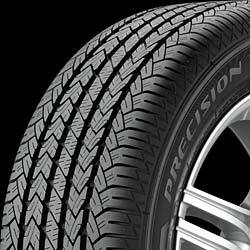 Excellent wet and improved dry handling make this S- and T-Speed rated tire ideal for all-season driving. With its attractive tread and sidewall design, the Firehawk Indy 500® tire looks like it performs—like a champion. The Transforce HT is packed with features to make it a driving force for light truck and commercial vehicles. UNI-T technology along with deep shoulder slots and circumferential grooves gives traction in wet conditions. The polyester and steel construction plus a high modulus tread compound help resist the rigors of heavy-duty work. With a modern, all-season tread design and noise reduction technology, the Transforce HT also provides a comfortable ride.